It is hard to understand why there is still any debate about extra dimensions beyond the three spatial and one temporal dimension that are a part of our everyday experience. 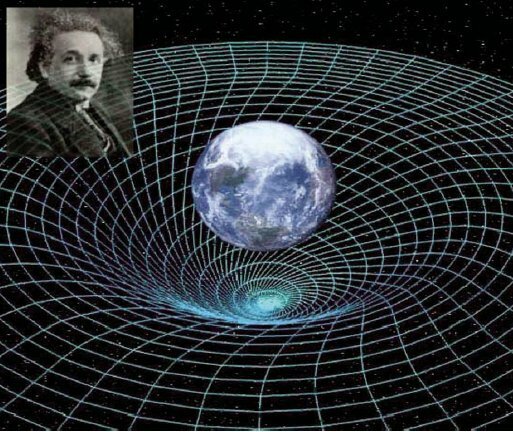 With Einstein’s description of gravity as the warping of the spacetime continuum, it should be obvious to all that that warp must occur in an extra spatial dimension. The above is a two dimensional illustration of the spacetime warp. Such an illustration can also be rendered in three dimensions by means of physical models. Many science museums have just such a three dimensional representation shaped like a funnel with curved sides, where steel balls orbit and slowly fall into the center hole as their momentum is slowed by friction. But even such three dimensional constructions are simply a three dimensional analogues of a four dimensional space. To put it simply, the spacetime warp cannot exist in three dimensional space. Rather, this warping must of necessity occur in an extra dimension that is not part of our normal experience of the universe.